"I am the true grapevine, and My Father is the gardener. 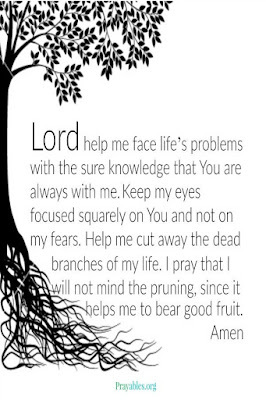 He cuts off every branch of mine that doesn't produce fruit, and he prunes the branches that do bear fruit so they will produce even more. You have already been pruned and purified by the message I have given you. Remain in me and I will remain in you. For a branch cannot produce fruit if it is severed from the vine, and you cannot produce fruit unless you remain in me." God Has Plans For You!